When a liability claim goes above the aggregate limit of liability, the policy limits are exhausted. By purchasing a Commercial Umbrella policy, you can protect your business from being liable for this excess liability judgment. A Commercial Umbrella covers the amount of loss above the limits of a basic liability policy. Commercial automobile, Commercial General Liability, Workers Compensation, or any liability policy can be covered by a Commercial Umbrella. A Commercial Umbrella may also provide coverage if a basic liability policy is not in force. 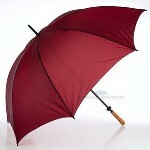 Also, Commercial Umbrellas can provide coverage for gaps in coverage under basic liability policies. When a Commercial Umbrella provides coverage for the basic liability loss it does not pay the loss from the first dollar. It is common to have a Self-Insured Retention (SIR) amount of at lease $10,000. SIR is similar to a deductible. If there is a Commercial Umbrella loss and there is no corresponding underlying policy in force, you must pay the first $10,000 of the loss before the Umbrella policy responds.